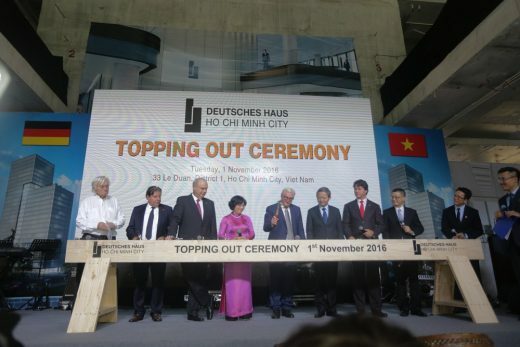 The official topping-out ceremony for German House in Ho Chi Minh City in Vietnam took place on 1st November. The high-rise office block reflects its future function of representing the Federal Republic of Germany in Ho Chi Minh City with its succinct architectural pattern language, in which the focus is on transparency and structure. The office building, which has been submitted for certification under the LEED and DGNB schemes, was designed by the architects von Gerkan, Marg and Partners (gmp). 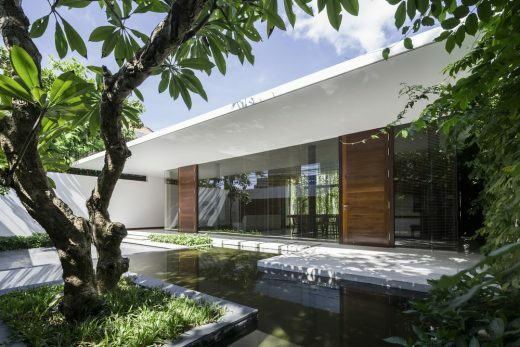 The practice had won first prize in an international architectural competition in 2013. Construction of the lower floors started at the end of November 2014, and completion of the high-rise block is scheduled for July 2017. The topping-out ceremony on 1st November was attended by numerous high-ranking visitors, including Federal Foreign Secretary, Frank-Walter Steinmeier, and gmp founding Partner, Meinhard von Gerkan, who took part in the ceremony as part of their official visit. The conceptual design of the glass facade of the new building is representative of the underlying approach to the entire building design. The external envelope of the future representation of the Federal Republic of Germany in Ho Chi Minh City thereby clearly indicates the Federation’s role as an industrial and technology-based nation. 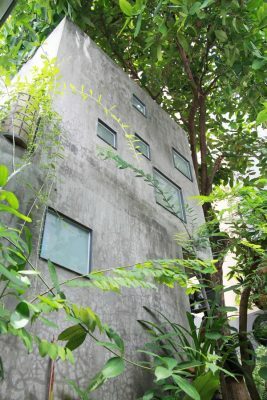 Furthermore, German House boasts a whole range of sustainable services installation features, making it an environmentally benign high-rise block: it is the first Vietnamese building to aim for the DGNB Silver award and the LEED Gold certificate. Back in August 2015, the property had already achieved two distinctions under the Vietnam Property Award (best commercial development, best green development). 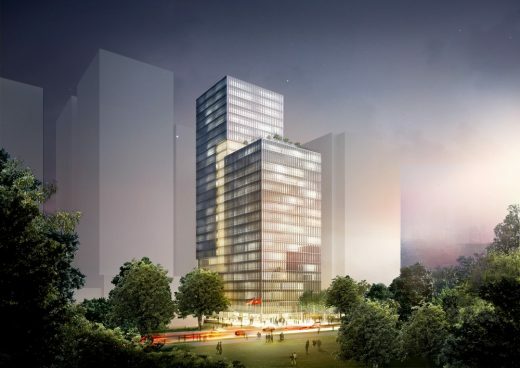 Located at one of the main axes of the city, between the Le Van Huu and Le Duan traffic arteries in District 1, a high-density urban area, the new building – with its 25 stories and gross floor area of about 39,000 square meters – will be home to the German General Consulate, as well as the German Chamber of Foreign Trade and the German Business Association, and will provide flexibly arrangeable offices for German companies and organizations. The whole development consists of two building blocks – the block to the rear is 110 meters high and rises beyond the front part, which faces the road. This is 75 meters high and, on its roof, features a generous terrace which is part of the restaurant facility. Both these parts of the building are structurally linked. Full glazing is used to accentuate the joint between the two. The story-high glass facade on the first floor, which opens up to the street in the form of an arcade, is seen as a symbol of transparency. 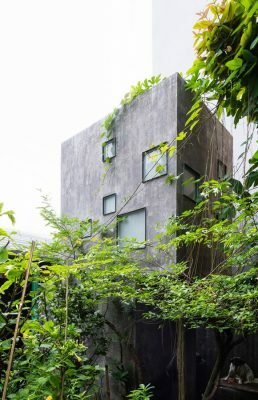 The back-ventilated double facade has been developed specifically for this building, and has been used in this form for the first time in Vietnam. It is fitted with an integrated solar screening device in the gap, which regulates the thermal input to the interior, thereby contributing to the energy efficiency of the building. This makes it possible to achieve a high standard of energy conservation in this tropical climate. Project management / site management: Mace Vietnam Co. Ltd. Client: Deutsches Haus Vietnam Invest Ltd.